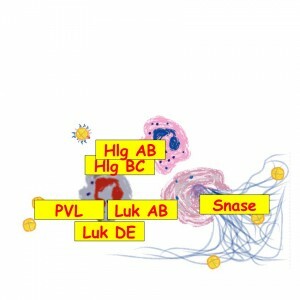 Evasion molecules that intervene with the initial phase of neutrophil extravasation from the bloodstream into tissue. 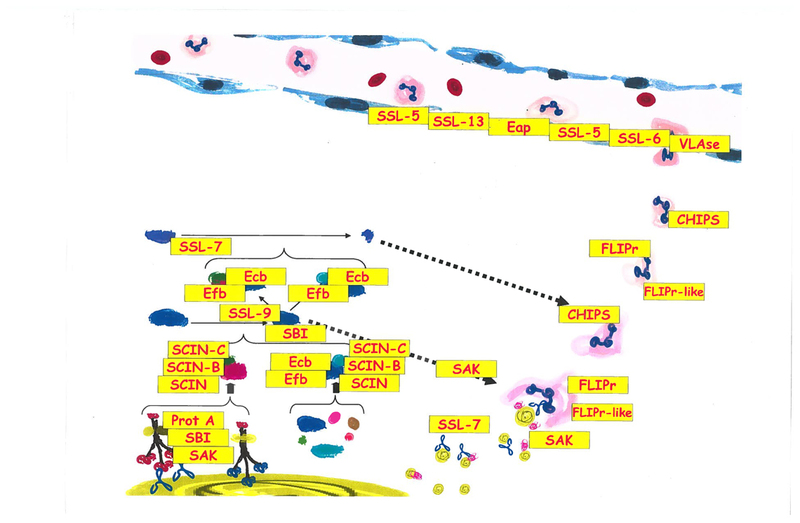 Inflammatory triggers initiate the slow rolling and subsequent attachment of neutrophils to the endothelial cells. 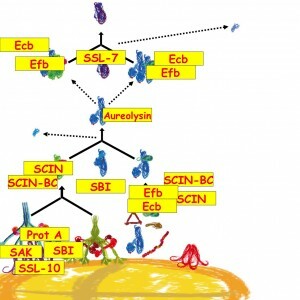 Subsequently the cells cross the endothelial cell barier and migrate along a gradient of chemo-attractants towards the site of infection. Evasion molecules that intervene with complement activation on the Staphylococcus aureus surface. Complement is activated via 3 routes leading to opsonization of the bacteria that are subsequently recoginized by phagocytes. 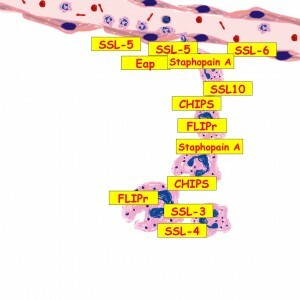 Evasion molecules that intervene with Staphylococcus aureus recognition and intracellular killing. Evasion molecules that are directly toxic for neutrophils or intervene with the final life stage of the cells, the release of neutrophil extracellular traps (NETs). These NETs consist of chromatin, histones and granule content like antimicrobial peptides and proteases. 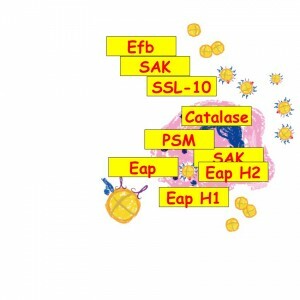 Staphylococcus aureus secretes several toxins that are highly specific for phagocytes.